The Myotis tarp’s curved edges help to keep it taut. 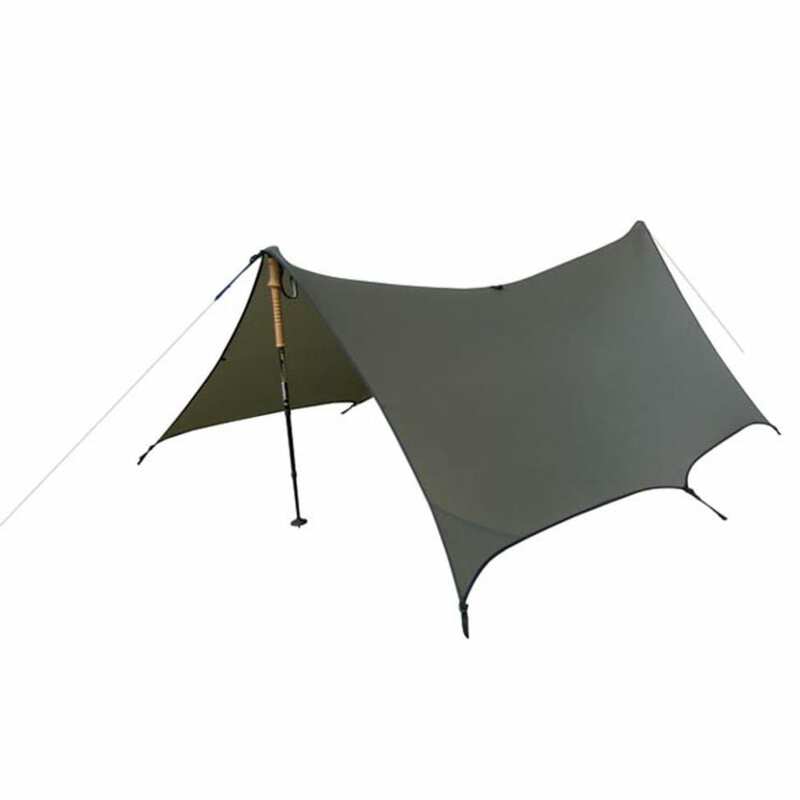 This tarp is designed with 15 loops and tie-downs for a variety of pitching options. Comes with two lengths of microcord for securing the ridgeline to trees or to anchor poles. Constructed of waterproof 1.1 oz silicone impregnated ripstop nylon.